18+, New Players Only, One Bonus Per Players. 1st 3 Deposits Only. Min Deposit: £20. 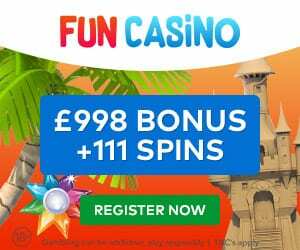 Max Bonus: £1500 + 100 Spins. Selected Games Only. 35X Wagering Required. Max Bet: £5. Max Win: 4X Conversion. Valid 3 Days for Spins and Bonus 30 Days. Full T’s and C’s – Click Here. Welcome Bonus Spins Included Too! The Grand Ivy Casino Online is a stunning online gambling establishment with one of the most varied game libraries online. It includes leading slots and online casino games from software giants such as Aristocrat, Leander Games, NetEnt, Elk Studios, Microgaming, 1x2Gaming, Amaya, Quickspin, and others. A substantial number of these games are readily available on mobile. Players here can also rely on 24/7hrs Live chat support. The Grand Ivy Casino is fully licensed by the well-respected UK Gambling Commission, Malta Gaming Authority and Curacao eGaming. Yes, you read that right! New players have the chance to claim up to a mind-blowing £1500 in welcome deposits. The deal comes in three parts. The first they will give you a 100% deposit match up to a huge £300 to play. Plus 25 lovely spins to use on Starburst. They will then match your second deposit by 25% up to an amazing £800. You then get another Grand Ivy 50 free bonus spins to use with Aloha Cluster Pays. 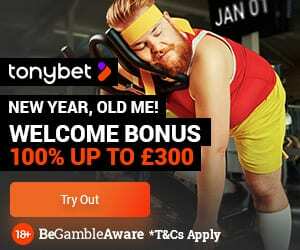 The third bit they will match your third deposit with a 50% bonus that will pay up to a wowser £400. With 25 spins to assist in Gonzo’s Quest. All totalling an amazing £1500. On top of that, they will also give you an extra 500 Grand Ivy loyalty points for their ultra-generous Loyalty Program (more on that later!). Genuinely this is one of the biggest deals we’ve ever seen online when it comes to welcome deposit bonuses. 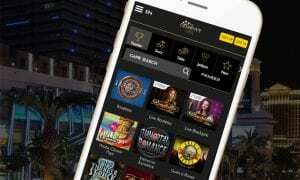 The majority of Grand Ivy Casino’s slots and video games are available to players on the go. This online casino UK is completely configured for mobile devices. Therefore all of the casino’s amazing games and features are accessible on tablets, smart devices and mobile phones. Additionally, with the use of Evolution Gaming’s incredible graphics, it’s one of the best online casinos for mobile gaming. The Grand Ivy Casino offers players with plenty of virtual table favourites. Amongst these are Live roulette versions like American Roulette and also Common Draw Roulette. Blackjack fans won’t miss out with favourites like Single Deck Blackjack and of course, Pontoon. Other favourites like Craps, Poker 3 Heads Up Holdem, Baccarat, Red Dog and Three Card Rummy are also here. 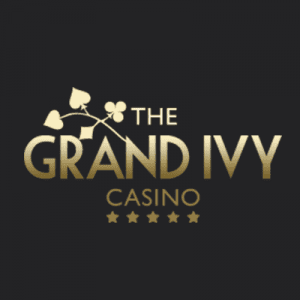 Video poker lovers may delight in a huge variety of poker games at The Grand Ivy Online Casino. All of the usual favourites are here such as Hold ‘Em and Aces & 8’s. Plenty of other games are also available. These consist of Virtual RaceBook, Predictor, Irish Eyes Scratch and Skratcherz. So many games so many choices! fancy a game of poker? The Grand Ivy Casino features a wide selection of Live dealership games from top-provider Ezugi. Included are Live Blackjack, Live Roulette, Live Baccarat, Live Keno, and Live Lottery. These Live games make it simple for players to experience a genuine casino Live lobby game – from the convenience of your own home. With plenty of interactive functions and varying camera angles so you really get that fully-interactive experience of being in a Live Casino. Moreso, all of Grand Ivy Casino’s games are fully mobile compatible. Therefore, if you ever fancy a Live game of blackjack or roulette – just reach for you Grand Ivy Casino login and get playing! Furthermore, all of the Live casino games may be accessed 24 hours a day so even the midnight owls can try out their favourite casino lobby game. These guys really do offer an awesome selection of bonuses and casino member loyalty rewards. Aside from their incredible £1500 welcome deal they also give all members automatic membership of the Grand Ivy Loyalty Scheme. Here you will earn points on the site when you play various games and slots which you can redeem for special bonuses. Furthermore, you can even enter competitions to win a brand-spanking new Mercedes Benz! That’s certainly a Grand Ivy Casino bonus code we all want to hear about! Gamers can get assistance with any concern or concern at any time at The Grand Ivy Casino. Indeed, most gamers opt to use the Live chat feature developed into the website. This immediately enables you to connect with one of the lovely Grand Ivy team who will be more than happy to help with your enquiry. Similarly, if you wish to contact them using email this is easily done using the email address they provide. 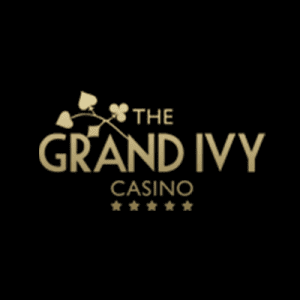 The Grand Ivy Casino secures gamers with the implementation of SSL encryption. This innovation avoids anyone from being able to read or understand sensitive details like passwords and banking information. Additionally, all of the games at The Grand Ivy Casino are offered by highly-trusted and respected software providers. They are all routinely examined for game integrity and fair play to meet UK Gambling Commission high requirements. Therefore you can be completely assured from the minute you use your casino login your online safety is totally assured. Unfortunately, the Grand Ivy Casino is not available to gamers in numerous nations and territories. Among these are Belgium, Bulgaria, Denmark, France, Italy, Latvia, Spain, Netherlands and the USA and its territories. A complete listing of forbidden areas can be found by checking out the FAQ section.